I recently wrote a blog post entitled 'All About Face Shapes' where I described each facial shape and how to contour suited to that specific shape. 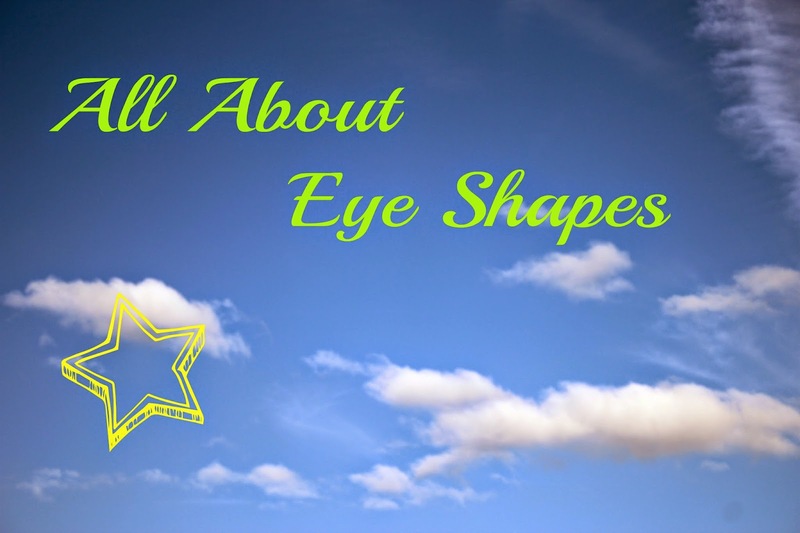 I thought as I have also recently learnt about eyeshapes I would write about each eyeshape and how to use eyeshadows and shades to suit that particular eyeshape. 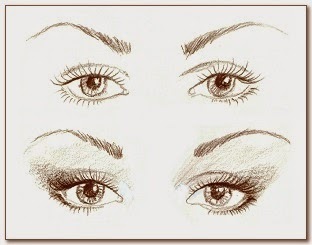 Suprisingly there are many different eye shapes and although it may be tricky to decide which eye shape you have, once you know it'll make a huge difference to the end result of your eye make up. Eye Spacing The first thing you want to find out is the spacing of your eye, whether they are average set, close set or wide set. The easiest way to find this is to take your thumb and index finger and place your thumb on one end of your inner eye and your index finger on the opposite end of the outer eye then without moving your thumb/index finger you want to move them between your eyes. If your eyes are about an eye distance apart so you're touching both tear ducts on either side you have average set eyes, if you're touching the eye more then you have close set and if you still have space you have wide set eyes. This process is well demostrated in the beginning of this video. With close set eyes, the eyes are very close together. To make the eyes appear further apart you should apply light shadow into the inner corners and apply a darker shade towards the outer corner of the lid. For mascara it's best to apply more on the outer lashes and less on the inner lashes to make them appear more further apart. Celebrity examples include Jennifer Anniston and Sarah Jessica Parker. 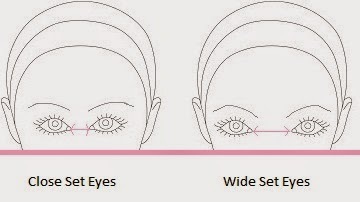 Wide Set Eye Shape The wide set eye shape is the complete opposite of close set eyes. Wide set eyes are far apart. They can be balanced by bringing the eyebrows inwards, applying a light shade on the central lid and a medium/darker shade in the inner and outer lid. Then apply mascara more heavily to the first half of the lashes. Celebrity examples are Kate Moss and Brandy Norwood. Almond Eye Shape The almond eye shape is the 'ideal' eye shape just like how the oval face shape is the 'ideal' face shape. Almond eye shapes are really easy to work with so any eye make up look will suit it. Almond eye shapes tend to be smaller in the inner corner. Celebrities with almond eye shapes include Angelina Jolie and Kim Kardashian. The round eye shape are the same height and width, and can be big or small. To make a round eye shape appear more almond you should apply a lighter shade in the inner corner and lid and then a darker shade in the crease extending it to the outer corner to elongate the eyes. Sweep the darker shape on the lower lashline stopping at the centre of the lashline. Celebrities with round eye shapes include Zooey Deschannel and Katy Perry. With hooded eye shapes the skin folds over part of eye lid covering it slightly. With hooded eye shapes you shouldn't apply highlight to the brow bone as this will emphasise the hooded lid. You should also stay away from very dark shades as this will close the eyes up so it's best to apply a light shade all over the lid and use a slightly darker shade above the crease to create a 'new crease'. A celebrity example with hooded eyes is Jennifer Lawrence. Deep Set Eye Shape With deep set eyes the eyes sit deeper into the socket, there is usually a small lid space and a barely visible lid. With this eye shape you should apply a lighter shade to the whole of the lid to open the eyes up and make the lid appear bigger and a darker shade on and above the crease and then highlight the brow. A celebrity with deep set eyes is Jennifer Anniston. Oriental eye shapes are very common within people of an asian ethnicity. They have barely visible lids and the eye appears stretched outwards. You should apply a lighter shade on the lid to open the eye and then a darker shade above the crease the create a 'new crease' and then slightly blend eyeshadow on the lower lashline to make the eye appear bigger. Lastly apply a lighter shade on the brow bone. A celebrity with this eye shape is Sandra Oh. 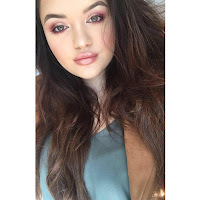 Prominent Eye Shape Prominent eye shapes are big and bold with lots of space on the lid for eyeshadow. A darker shade should be applied on the outer corner and winged out to create and almond shape, a medium tone in the central lid and light tone in the inner corner. A celebrity example is Nicole Richie. I hope this post gives you a clearer idea of the different eyeshapes, which you have and how eyeshadow should be applied for your eye shape.